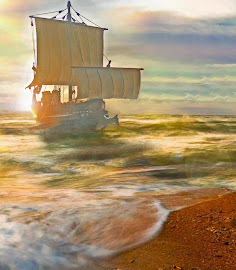 Searching for Stories that Inspire Adventure. My wife and I go to the movies nearly every Friday. This week we had our fill of superhero, techno-effect, CGM montages. So, when I saw the ad for Werner Herzog’s documentary about a 32,000 year old cave in Southern France decorated with perfectly preserved Paleolithic art, my heart sang with eager anticipation. 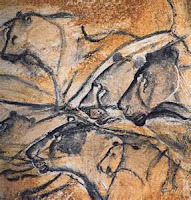 The film, Cave of Forgotten Dreams, is about the Chauvet Cave discovered by(guess who?) Chauvet in 1994. Thousands of years ago the cave was hermetically sealed by a landslide so the paintings inside are as fresh as they day they were painted. So fresh, in fact, that originally some thought they had to be fraudulent, until they noticed the paintings were under a thin mineral deposit that would take thousands of years to form. Ok, the film was a little boring and the music was a little irritating. Herzog, as usual, is over the top trying to romanticize the preservation and finding of the cave. His film makes the images seem black and white when they are actually very colorful, and yet—and yet, when you see masterful images and the realization sets in that men made this images 32,000 years ago, it stuns the senses. When the images were made Neanderthals were roaming around the same area and much of Europe was under a massive sheet of ice. 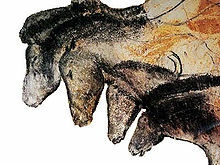 The drawings look as if Degas, Monet, or maybe even Picasso had grabbed a vine of charcoal and attacked the cave wall. A key point of the film that stuck in my mind was that a major difference between Homo-sapiens, Neanderthals, and other animals is that Homo-sapiens are driven to express themselves and communicate with images. Its not using tools or building fire as was proposed in the Anthropology 101 class I sat years ago.